Since 1965, Camberley Glass & Windows have been committed to supplying the finest range of innovative Double Glazing products to the fine people of Farnborough. According to surveys by the Centre for Sustainable Energy, the average home in Britain will lose up to 10% of its heat through windows and doors. Energy efficient double glazing can reduce this heat loss to an absolute minimum, keeping your home warmer and significantly reducing your energy consumption. It will also make your home quieter and more secure. Up to two thirds of the UK adult population are reportedly suffering from stress induced by loud noises. Give yourself the tranquil home you deserve. Double Glazing can and will reduce intrusive noise from outside your property. Camberley Glass & Windows specialise in premium products at affordable prices – offering you the latest in Double Glazing Technology. Our Double-Glazing window units are available in both UPVC and Aluminium and a range of different styles such as Bow and Bay, Sliding Sash and much more. All of these window units are available in a selection of colours and textures, different materials but with the same quality guarantee; aesthetically pleasing, energy efficient and of the highest quality. 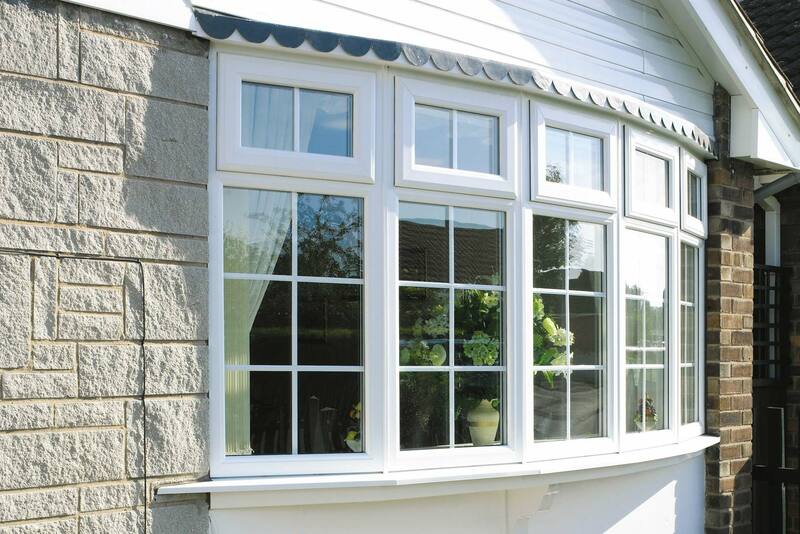 Let’s find the perfect Double Glazing solution for your home, our dedicated and experienced team are ready to help.